popular breeds to grace these shores. The lovable Labrador is one of the most popular breeds to grace these shores. 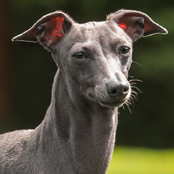 It’s no wonder this stunning breed is a main feature at many off-leash areas and dog friendly spots. A wonderful family companion who is eager to please with an unsurpassed smile. Being a working breed the Lab is super easy to train. They are very food driven and will work endlessly for the possibility of a tasty titbit. But do be aware, this love for food can see many Labradors struggling to beat the bulge so always remember to take their treats out of your pup’s daily food limit. It’s important to ensure your Lab is fed correctly and also exercised daily. Teaching manners, such as pulling while on lead, will help with the exercise needs of your growing dog. Primarily bred to be working dogs, the breed loves to work and can be seen being utilized in many ‘doggy jobs’ for this very reason. Such as seeing-eye dogs and police sniffer dogs. 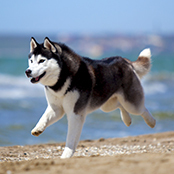 They are very easy to train and will thrive on pleasing their owners with their great intelligence and loving natures. Keep it fun and interesting and you’ll be shocked at how much you can actually teach your little Labby. Training from puppyhood is advised as too, early socialisation. Labs are very friendly dogs and love the company of other dogs. You’ll notice that your Lab, when socialised correctly, will become the social butterfly of the park…insisting on sniffing every dog’s bottom for a polite canine “hello”! But remember, just because they are a very friendly breed does not mean you can avoid training. Your lovable pup will become a large wiggly, and very excited dog. Teaching your Lab manners such as not-begging, not pushing you through the door, not jumping and coming when called is vital. Plus; they will simply love it! The breed is known to shed so getting in the habit of regular grooming can minimalize this and also keep your Labs coat in great condition. This will need to be done daily during seasonal changes. The breed does require bathing from time to time, mainly due to their love of rolling in anything smelly or dirty (oh the joys of being a dog). Labs also love to swim, after swimming it’s a good idea to rinse your Lab in some warm fresh water to remove any sand or debris that could irritate the skin. Getting your wee-pup used to having their nails clipped, teeth touched, and ears checked will also help you check for any possible problems while also making your lovable, excitable pup vet friendly. Labs love to run, explore and swim. Because they are a very friendly breed, off-leash fun is a great way to ensure your dog is getting adequate exercise. Labradors are well-known for their love of food and struggling with obesity. It’s very important to understand exactly how big your dog should be and ensure you feed and exercise them correctly to avoid problems later in life. Regardless of those puppy-eyes, don’t be fooled into overfeeding your pup. Obesity has a sneaky habit of creeping up on pet owners, so doing a monthly check on your dog’s weight and waistline is a good habit to get into. Instead, reward them with a great game of fetch or a run around the block. Take care not to over exercise your young pup to prevent joint problems. Being one of the smartest dogs around, your Labrador will need to be kept simulated and entertained or you may find they discover their own entertainment such as eating shoes or digging up your prized garden. Consider boredom busters, and give your dog a job to do when you are not at home. Also ensure you are keeping up with your daily exercise and training. One of the most family friendly and lovable breeds around has seen many Labs becoming welcome additions to a busy family life. They love to be a part of the action and venturing out on all family excursions. The breed is well-known for their tolerance of young children however, like with all dogs, please teach your young ones how to behave when in the company of a canine. Your young Labby will also need some training to avoid stealing food from small hands and accidentally pushing them over. Labs will tolerate being outside during the day, but like with any dog, they will thrive when in the company of their humans and will want to join you inside as quickly as they can. The breed is easily house-trained and simply adores their owners (and company). Please take care during warmer weather and ensure your dog has ample water and shade. Good sturdy fences are advised. It’s also important to starve off daily boredom with some creative ideas to avoid problem behaviours such as barking.